Some are worrying that this may be the beginning of the Supreme Courts interest in delving deeper into the fiduciary duties of those managing employee retirement plans. Swirling in the lower courts since 2007, the Supreme Court’s recent decision on Tibble v. Edison International centered on whether Edison International’s financial advisors and investment committee had breached their fiduciary duties by choosing retail share classes instead of institutional shares of specific mutual funds, that in turn, cost the employees by incurring higher fees; and, more significantly. It also focused on whether the ability to claim such a breach exceeded the six-year statue of repose mandated by the Employee Retirement Income Security Act (ERISA). In mid-May, the high court handed down its unanimous opinion in Tibble v. Edison and said that “a fiduciary normally has a continuing duty of some kind to monitor investments and remove imprudent ones.” This was expected and probably brought a widespread “no kidding” response from fiduciaries who have done just that from the get-go. 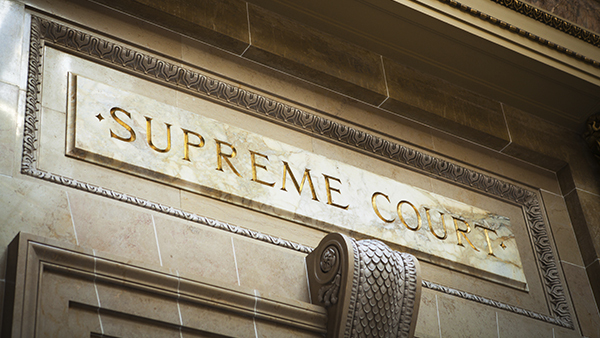 Some are worrying that this may be the beginning of the Supreme Court’s interest in delving deeper into the fiduciary duties of those managing employee retirement plans. Others feel that the Court left just enough vagueness in its opinion to make advisors wonder what will be considered “reasonable” for due diligence and monitoring. Several media outlets even speculated that the 9-0 decision was rare and spoke volumes about the Court’s newfound view of these matters. Though, more than likely, this is indicative of a different trend of more agreement overall by the nine justices. Indeed, the Court ruled unanimously 62% of the time in the previous year’s cycle, which is the highest percentage since 1940. The decision also caused a few collective shivers that the six-year statute limit would now become obsolete. Does the clock “restart” every time an advisor performs the responsibility of reviewing the fund selections? New Jersey-based retirement consultant, Jason Grantz, QPA, AIFA works at Unified Trust Company, a firm that manages approximately $4 billion in ERISA and ERISA-like assets. A self-described “pension geek” with a longstanding interest in the mechanics and technical elements of 401(k) plans, Grantz has served on various government affairs committees for the Financial Planning Association and the National Association of Plan Advisors. What struck him about the decision is that it was incredibly fast and “unanimously and uniformly loud. It was an affirmation of basic trust law and made more congruent sense to me to have a process in place to periodically review fund selections. I applauded the decision’s veracity,” he said. He added that the Supreme Court effectively took away a defensive posture by minimizing the protection of the six-year statute of repose. A longtime financial services insider whose career has spanned lobbying, ‘lawyering’ and analyzing this business has an off-the-record observation that is expected – but then colors it with a definite air of caution.